As the foremost landscape company in Sacramento, Granite Bay, and El Dorado Hills, with more than 30 years of experience, we take great care in providing superior attention to detail and designing your landscape to fit your lifestyle and needs. 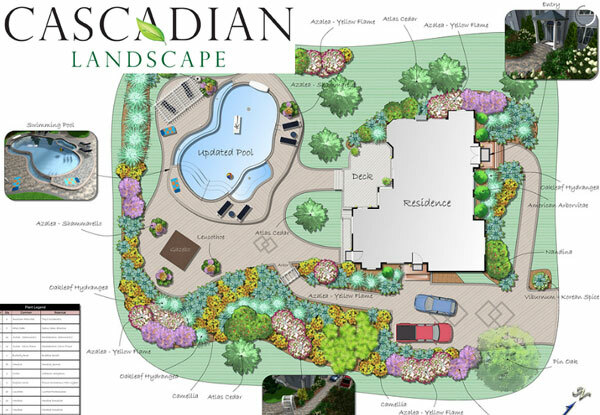 Our 3D landscape design software allows you to see your future landscaping and pool as it would look immediately or even months after completion. By combining artistry and professionalism, we create and produce only the highest quality landscape design that you can take pride in. We offer custom concrete, masonry, swimming pools and spas, outdoor fireplaces and barbecues and much more. Whether you want to transform your backyard into a tropical paradise, an intimate garden, or a large estate complete with tennis courts and a swimming pool, we have the skill and experience necessary to exceed your loftiest landscape design expectations.